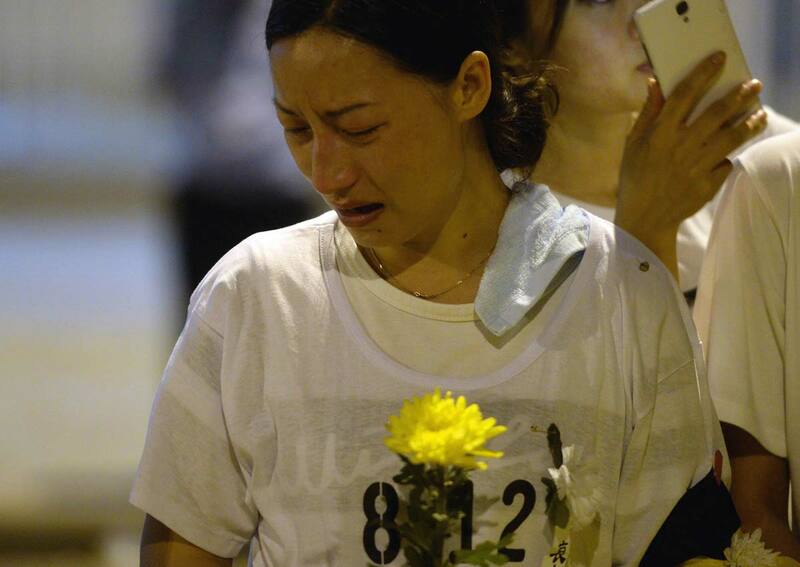 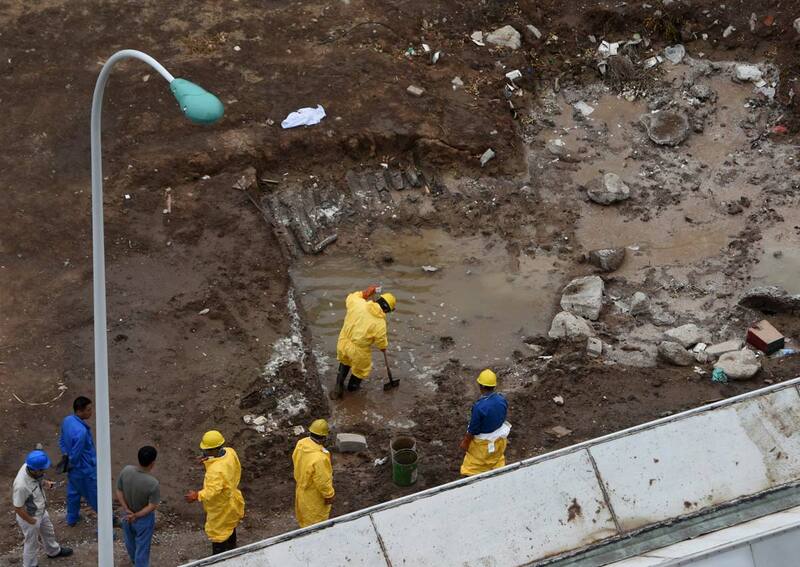 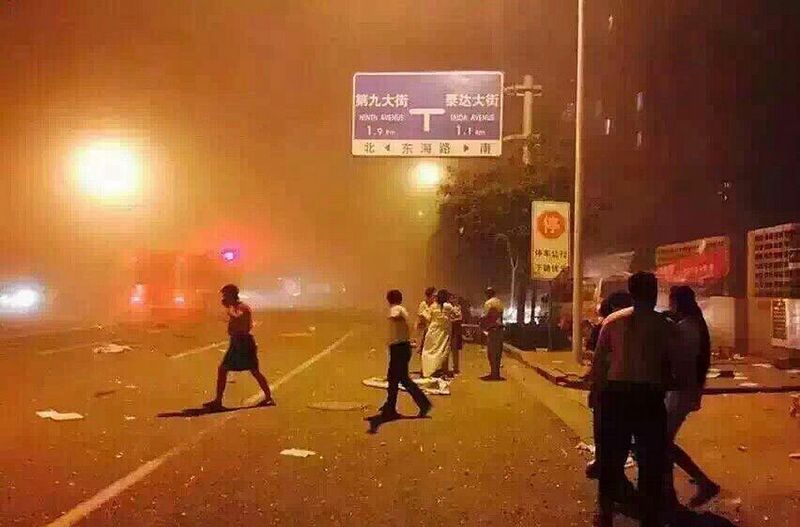 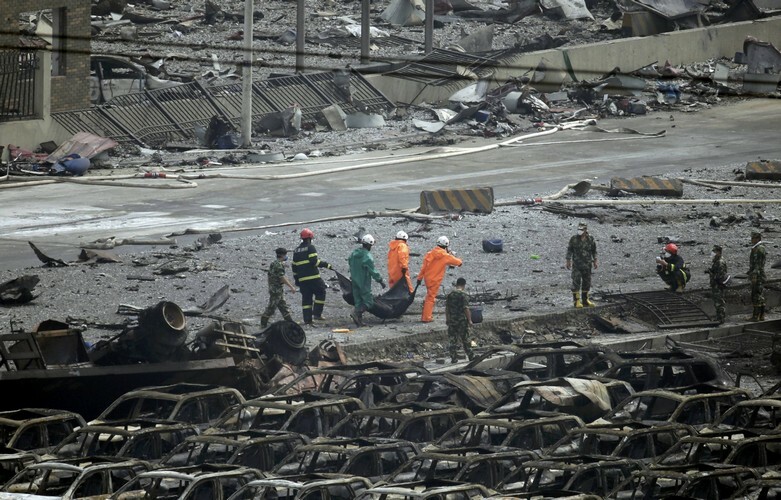 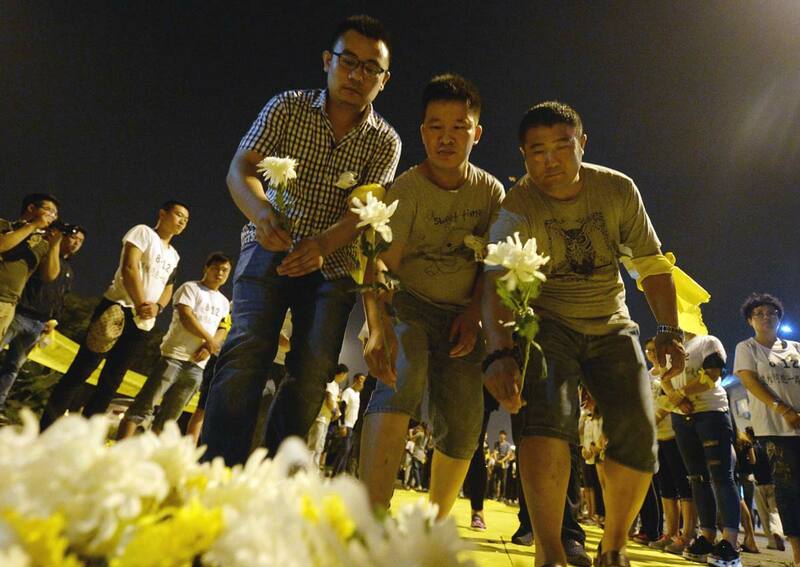 VICTIM: Firefighters carrying the body of a victim at the site of the explosion in Tianjin. 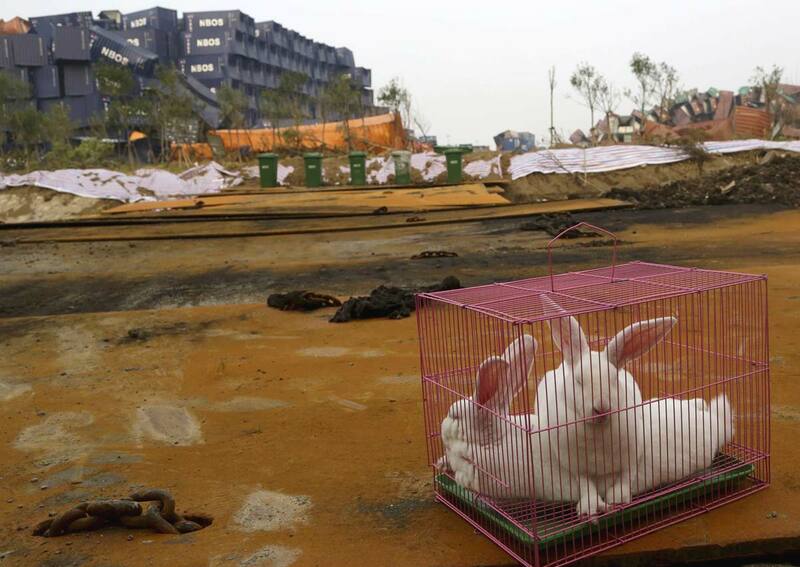 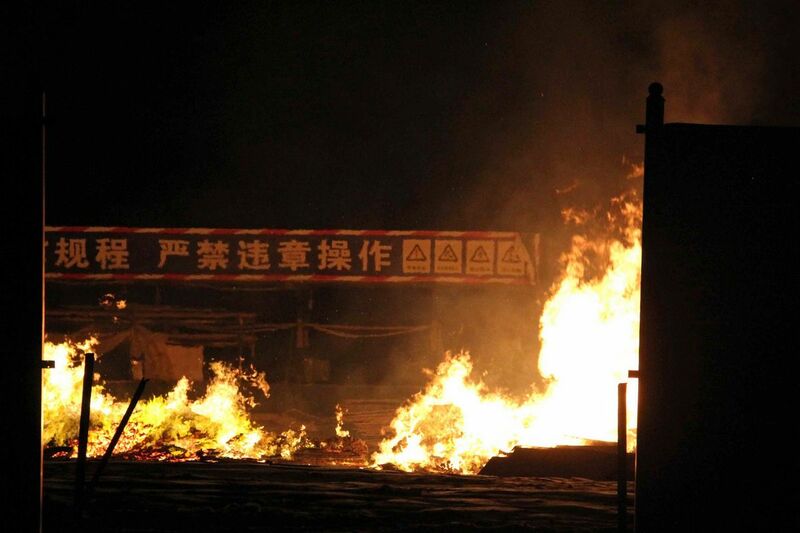 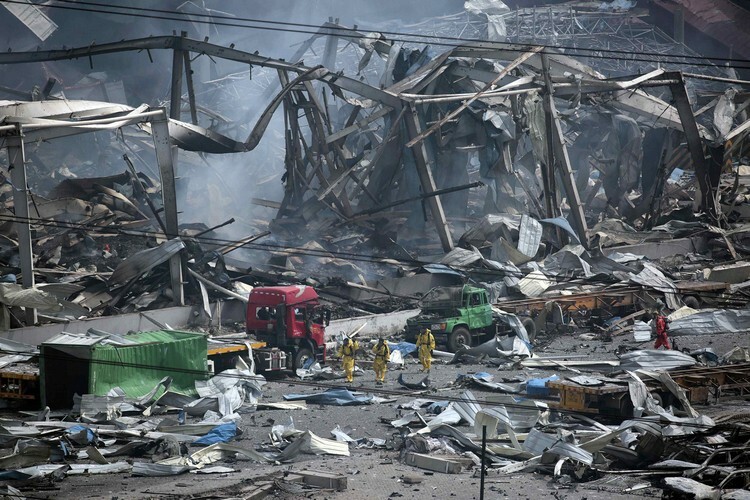 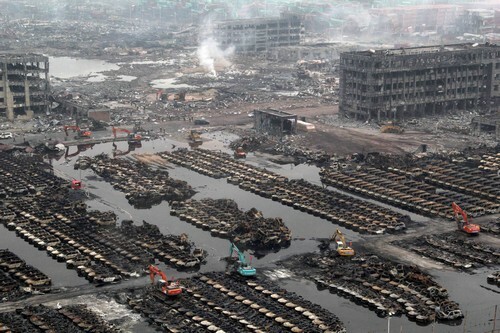 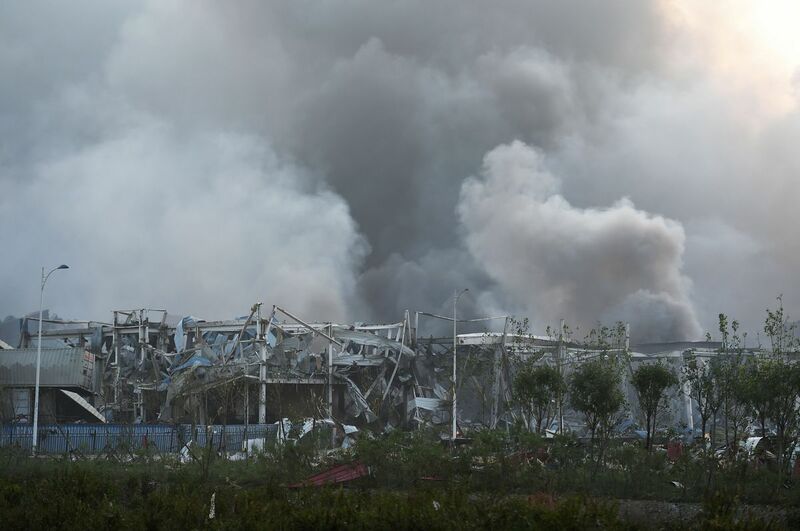 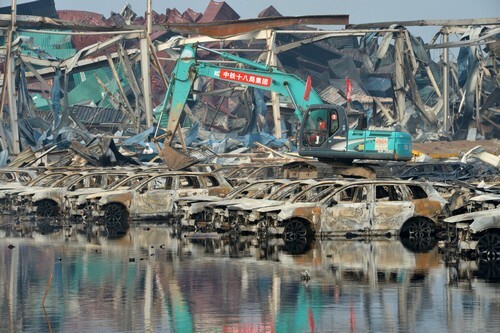 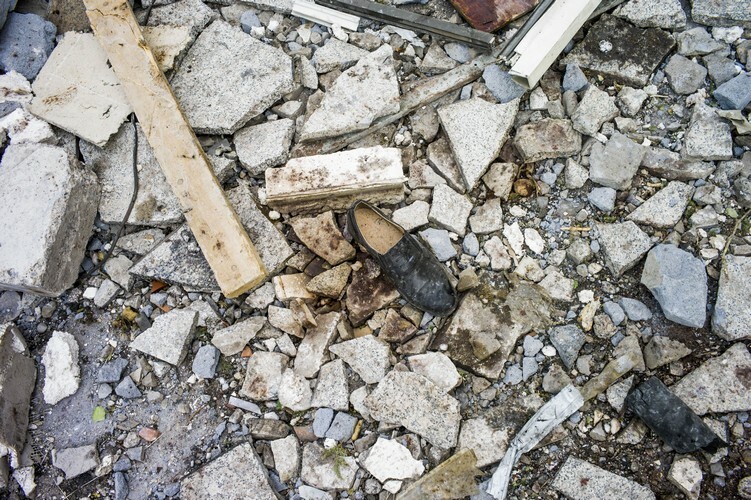 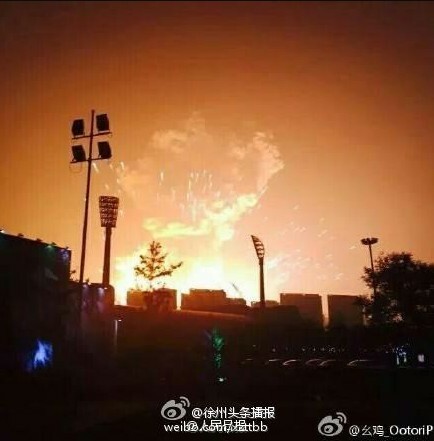 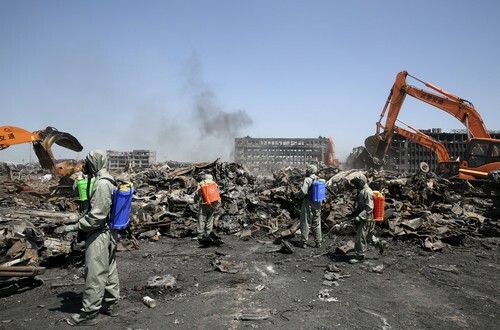 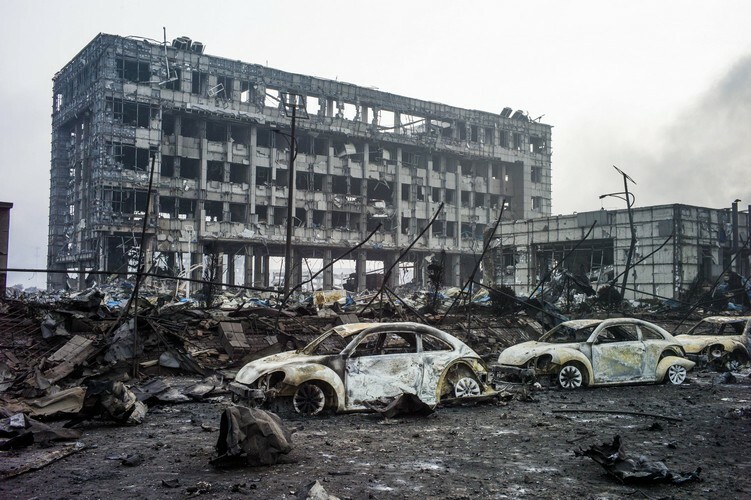 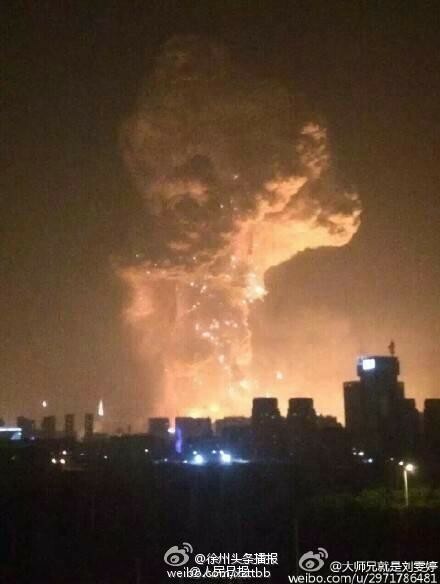 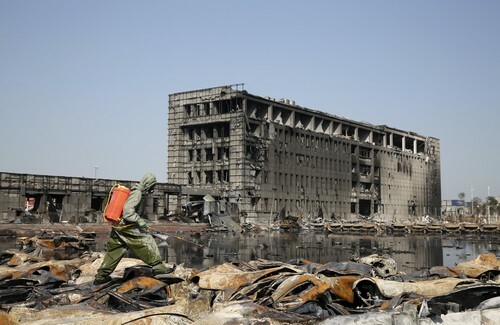 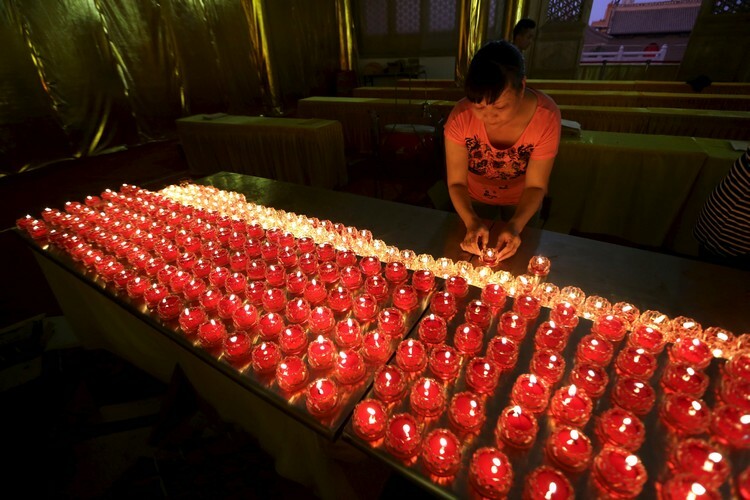 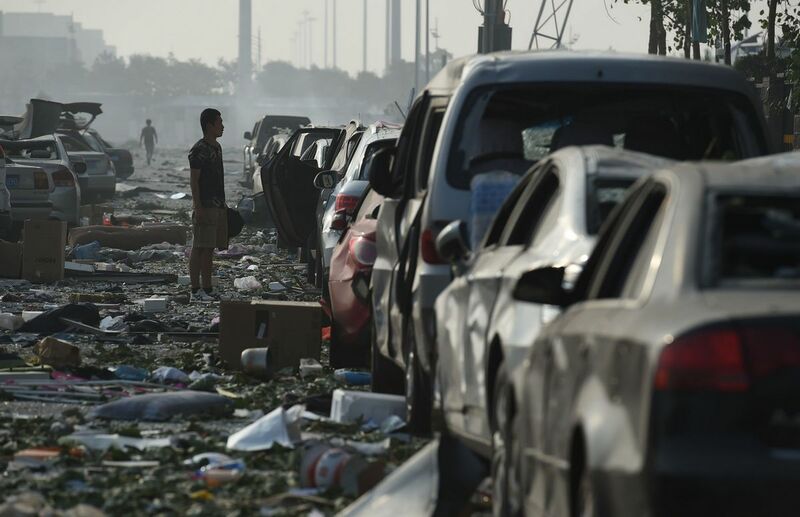 All toxic sodium cyanide within a 3-kilometer radius of the blast site in Tianjin was to be collected and neutralized before Monday evening, He Shushan, the city's deputy mayor in charge of work safety, said at a news conference on Monday. 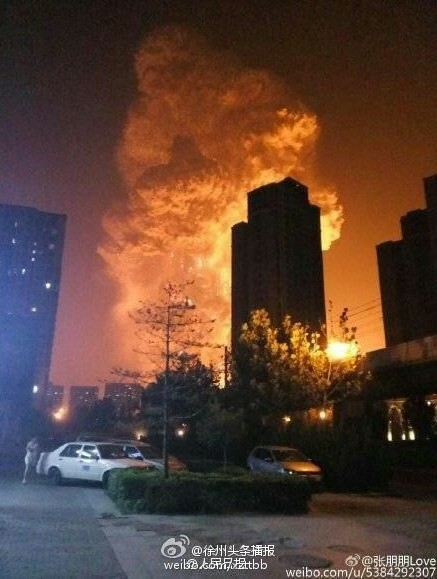 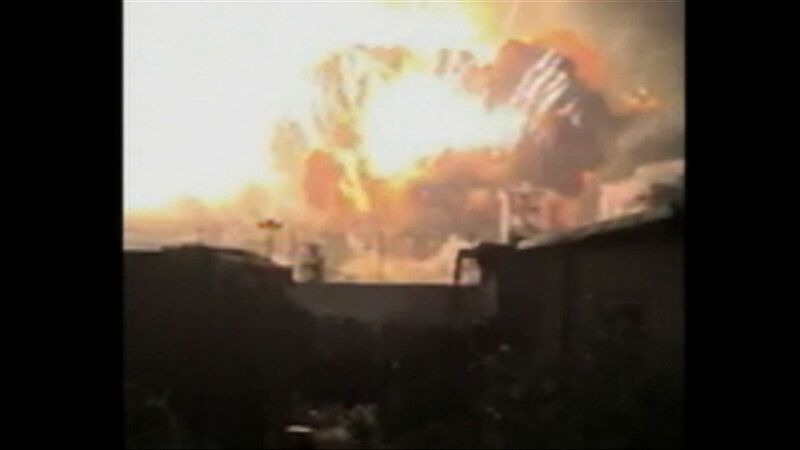 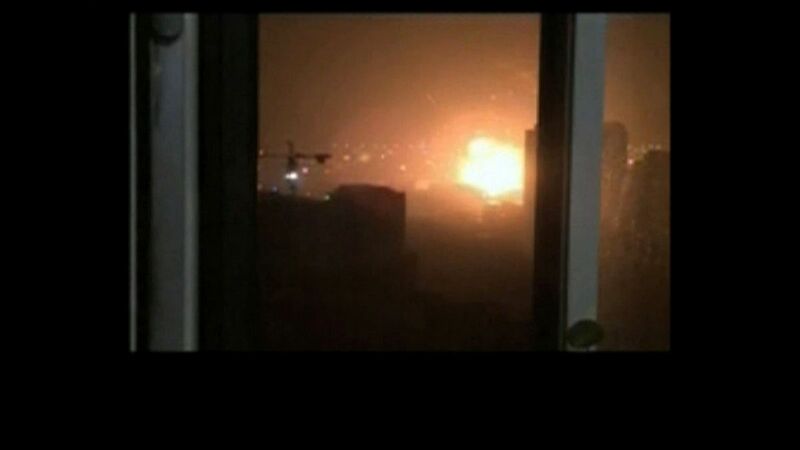 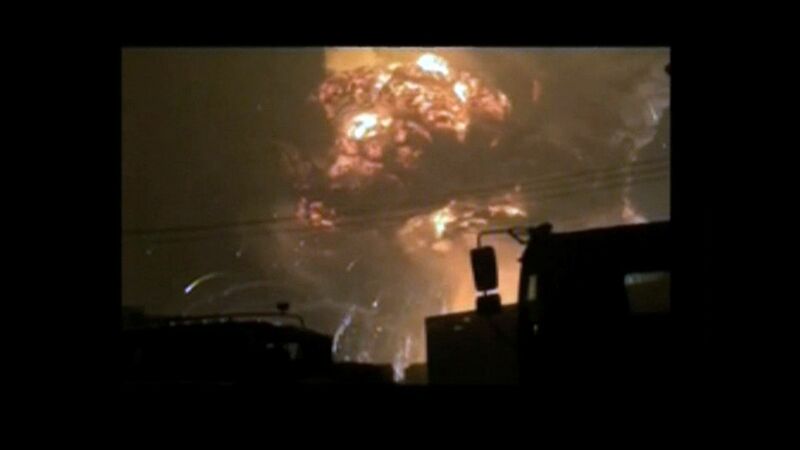 The chemical, which can be highly toxic in contact with water, was scattered over the 0.1-square-km core area of the blast. 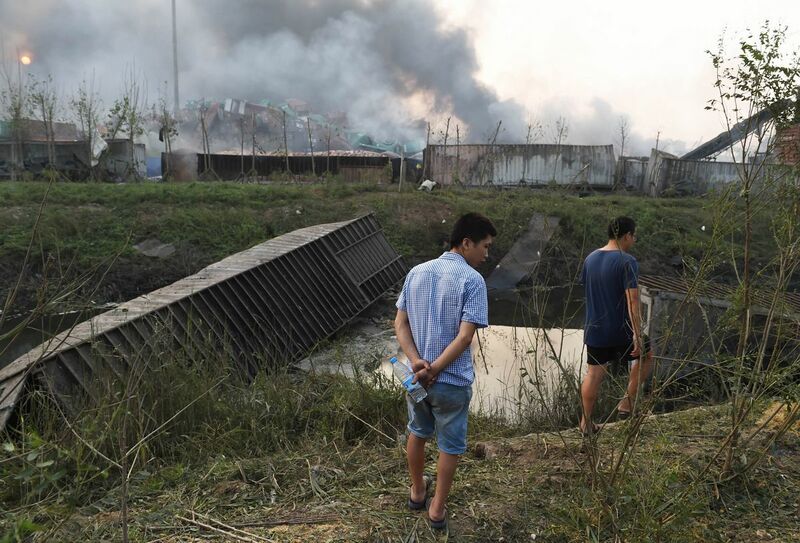 Walls have been erected and drains have been blocked to keep contaminated water from flowing out of the area, He said. 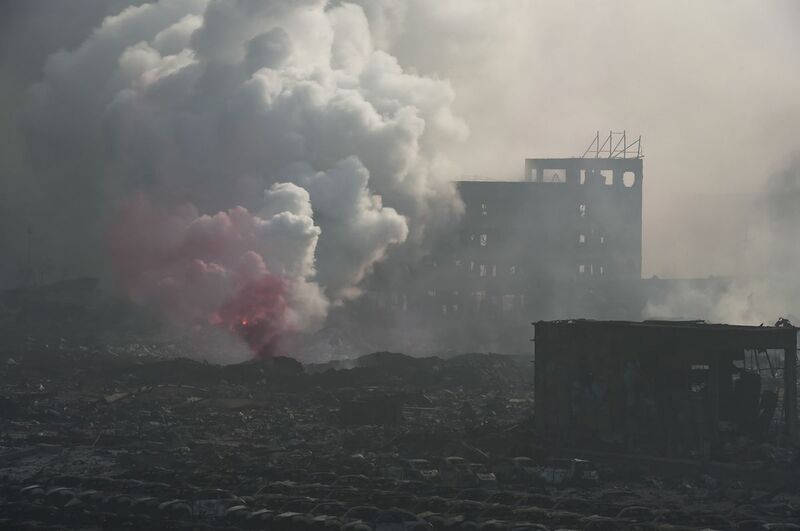 Containers storing several hundred metric tons of sodium cyanide were found at two places at the site, Shi Luze, chief of staff of the Beijing Military Area Command, said on Sunday. 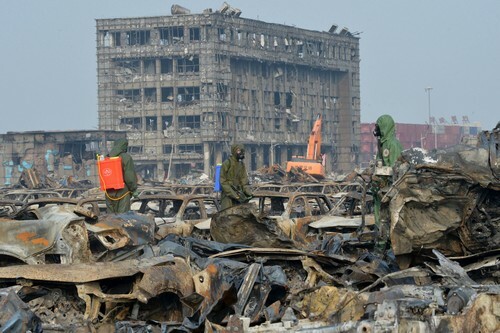 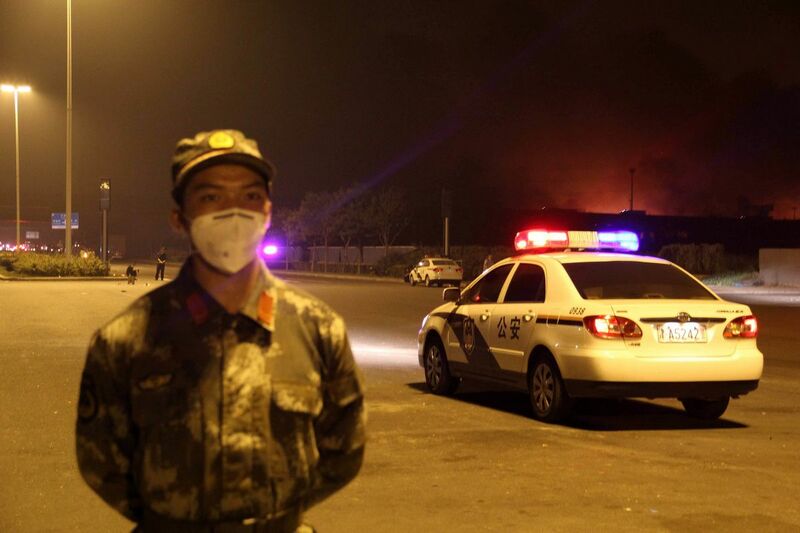 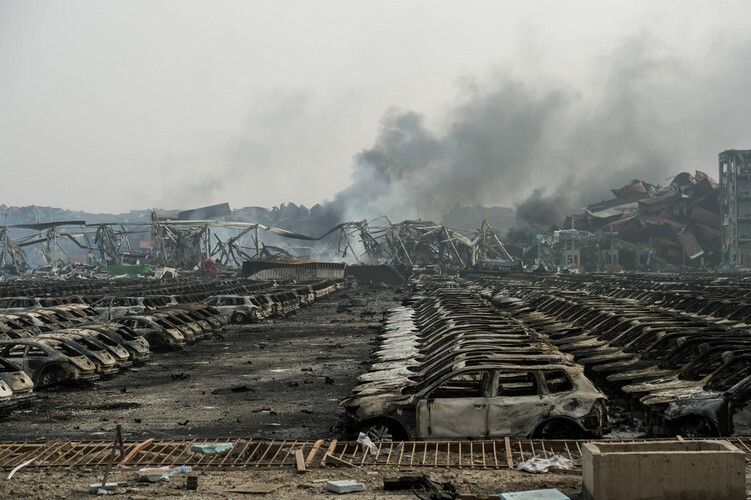 The death toll from Wednesday night's blasts that tore apart a warehouse storing hazardous chemicals in the Tianjin Binhai New Area rose to 114 on Monday, including 60 yet to be identified, while 70 remained missing, Gong Jiansheng, head of the Tianjin information office, said at a news conference. 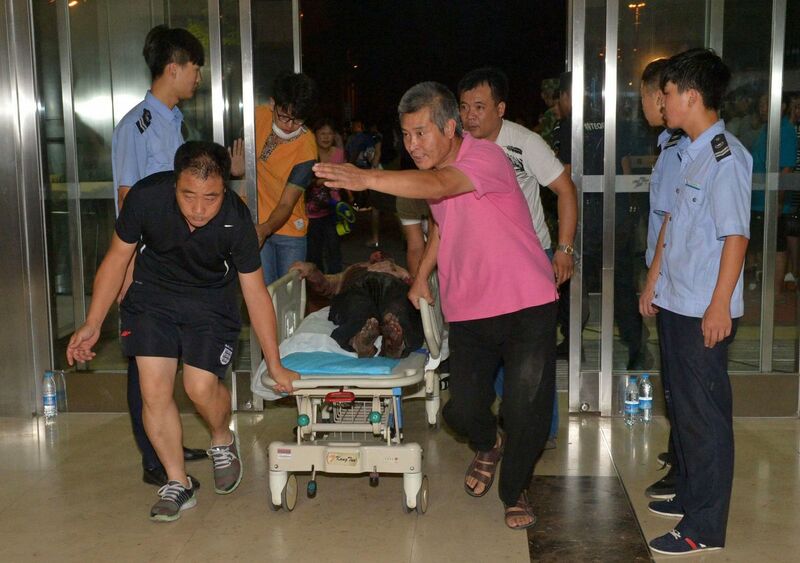 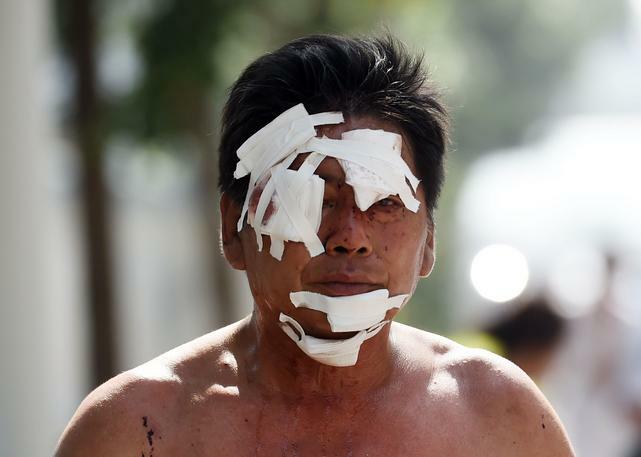 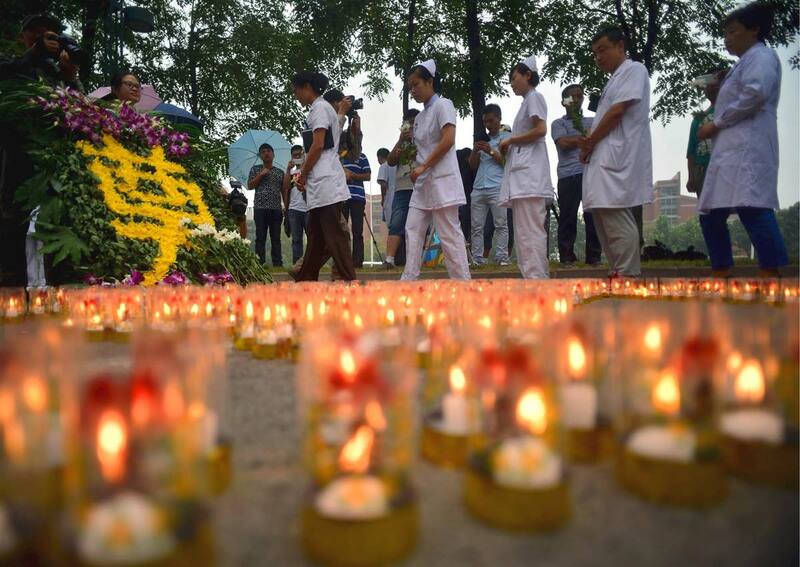 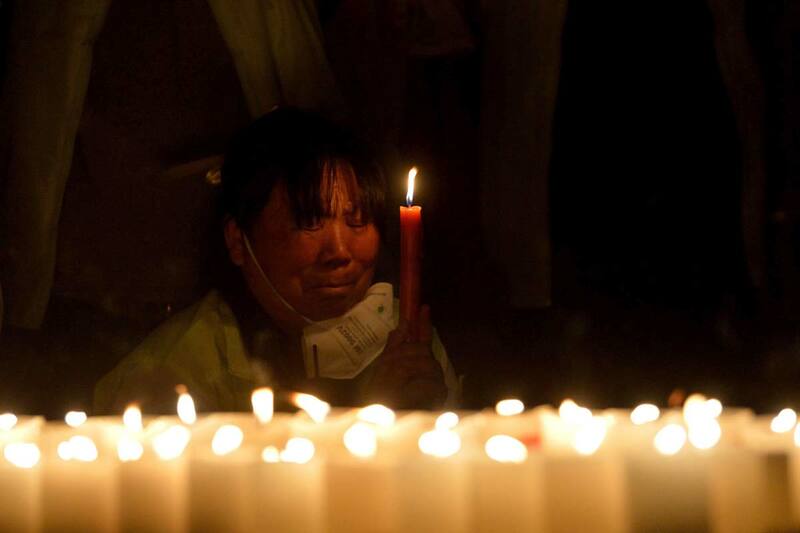 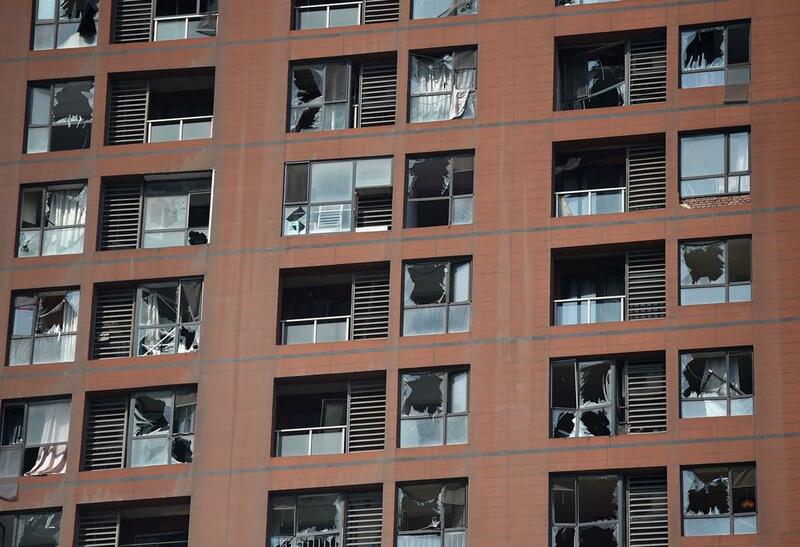 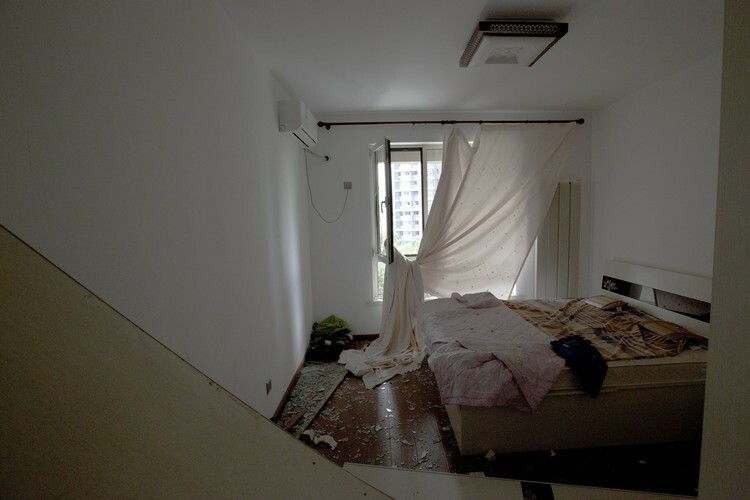 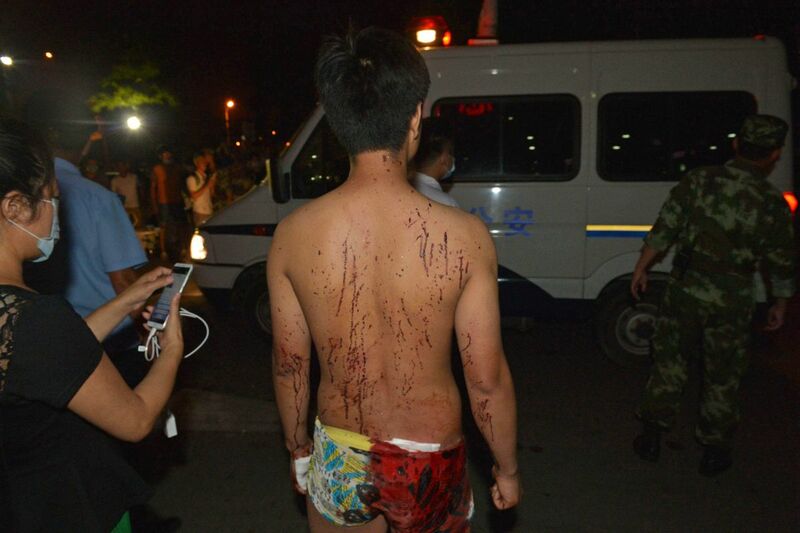 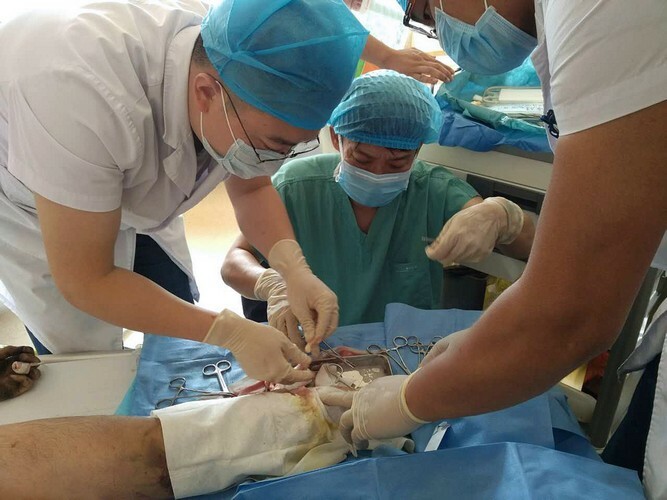 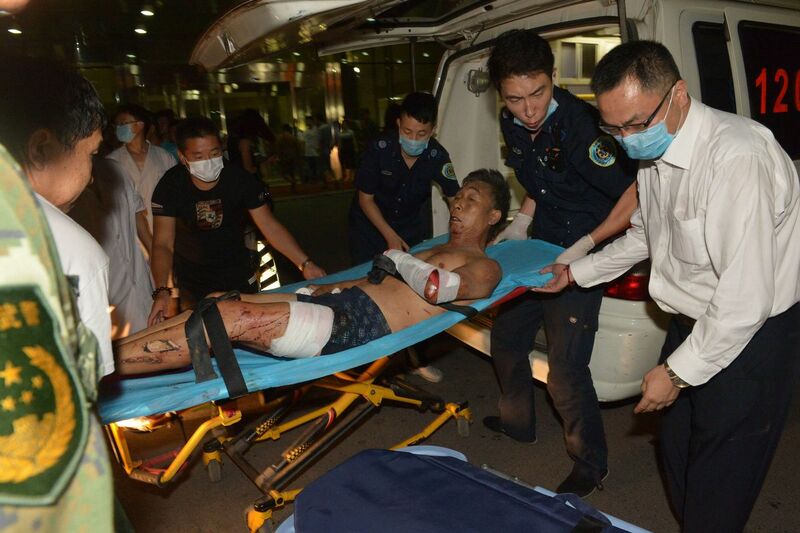 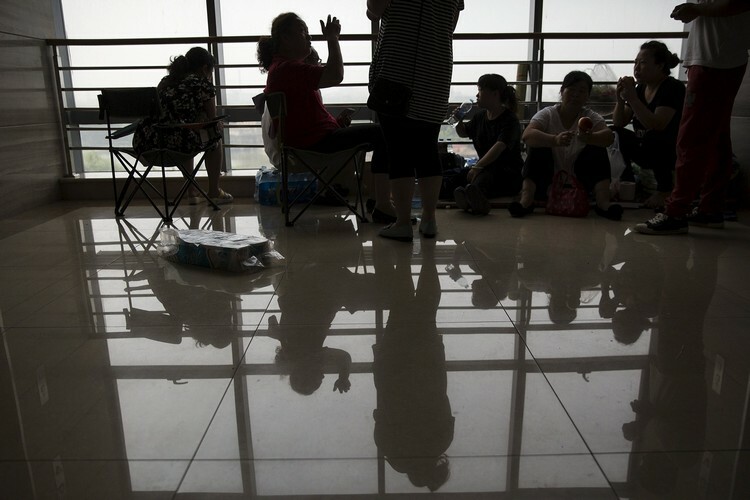 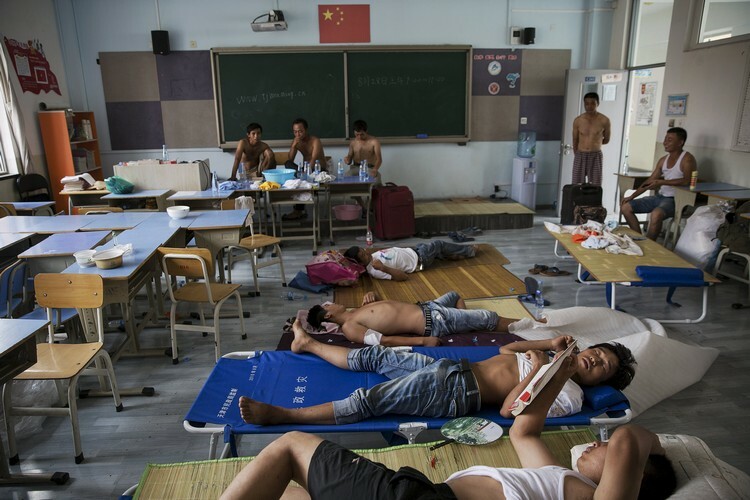 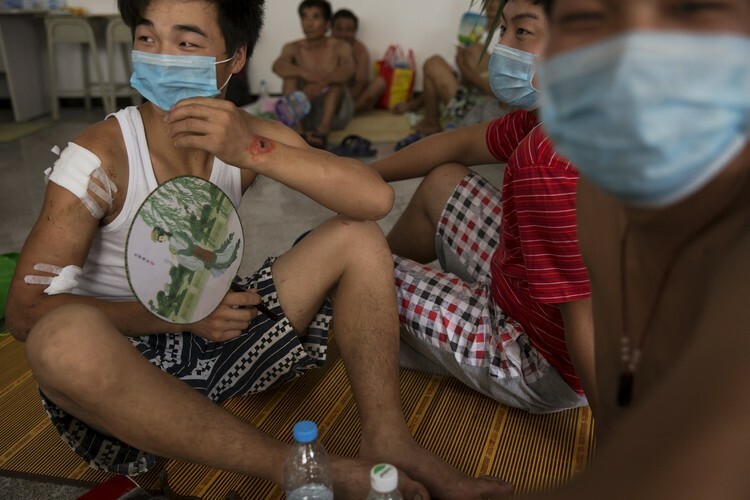 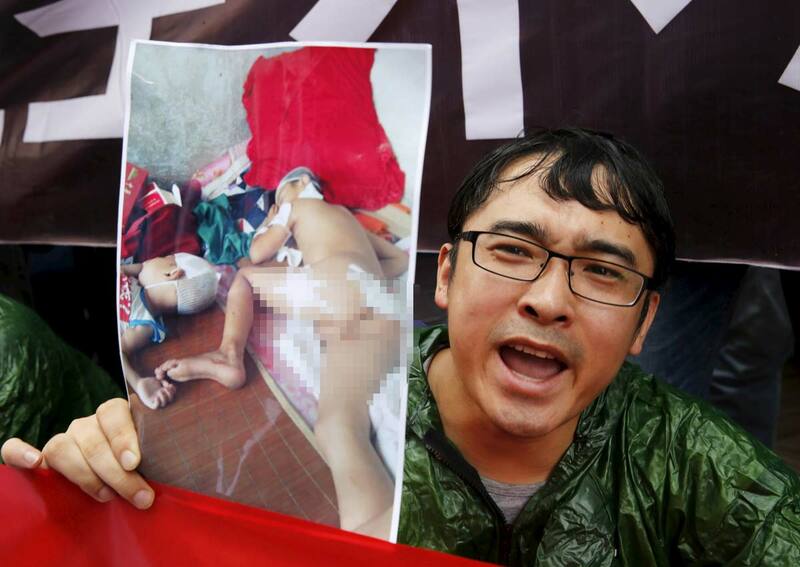 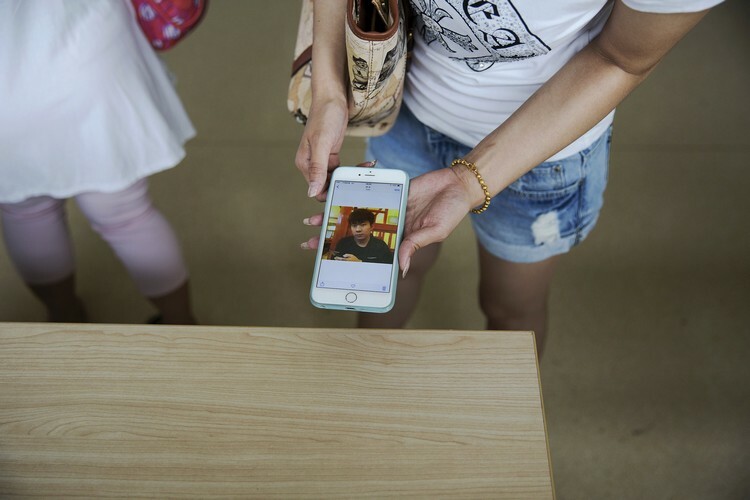 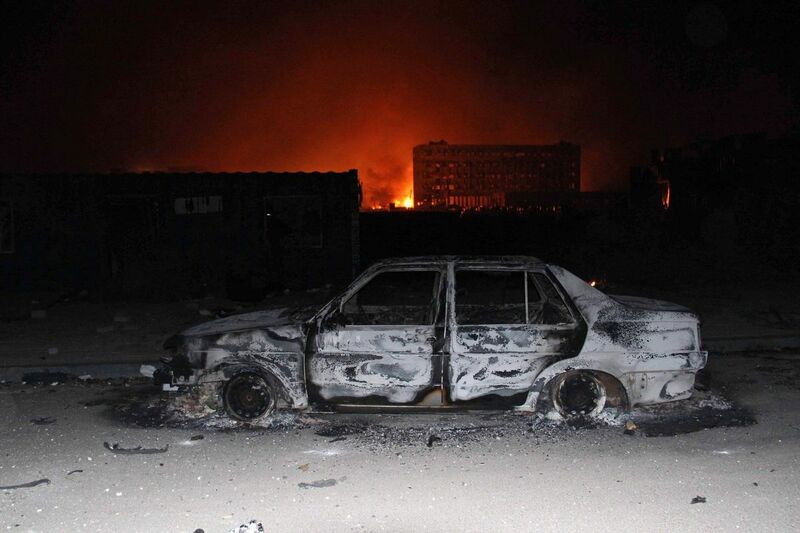 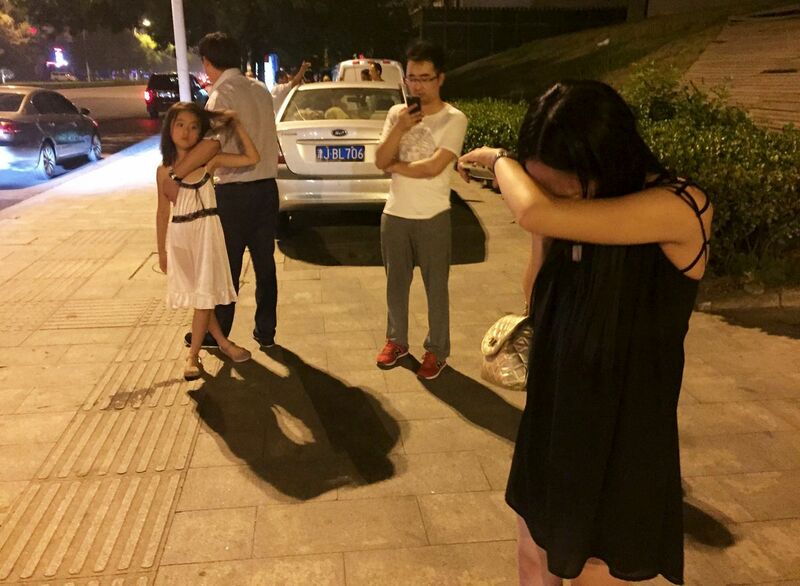 On Monday, a total of 698 people were still hospitalized, of whom 57 were in critical condition. 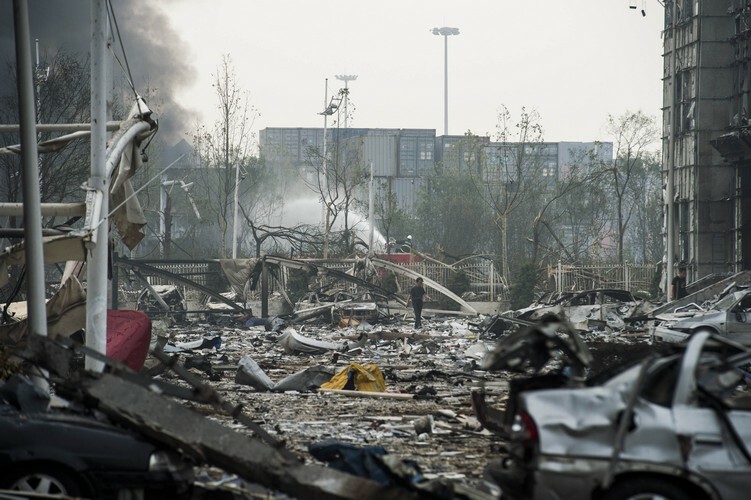 "We are still searching for the survivors. 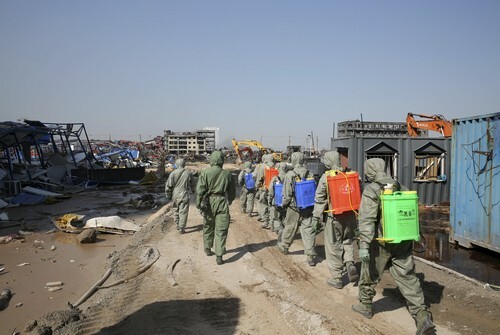 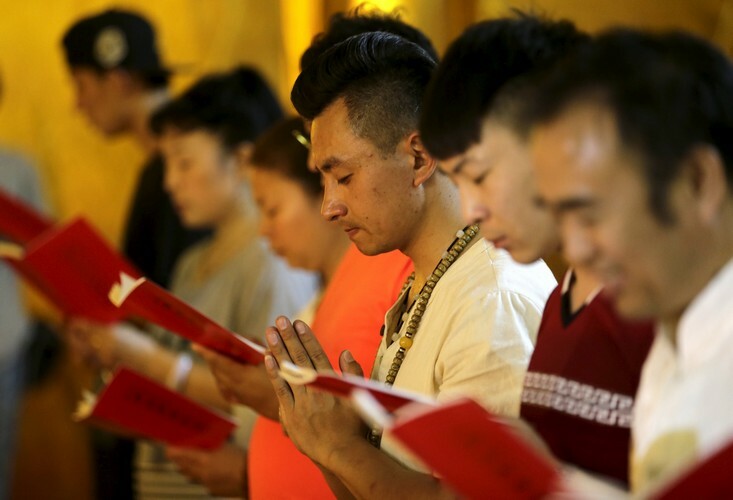 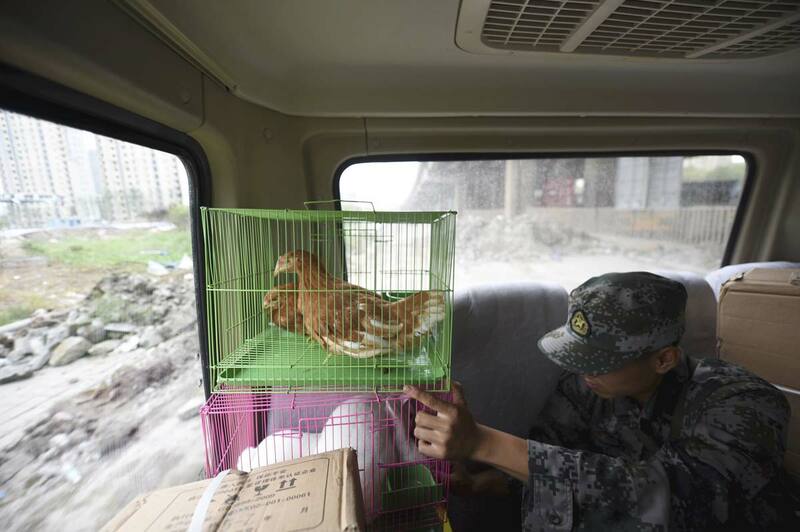 Our first task is to ensure the safety of the people," Ji Shumin, a senior official with the chemical defense crew from the PLA Beijing Military Area Command, told China Daily. 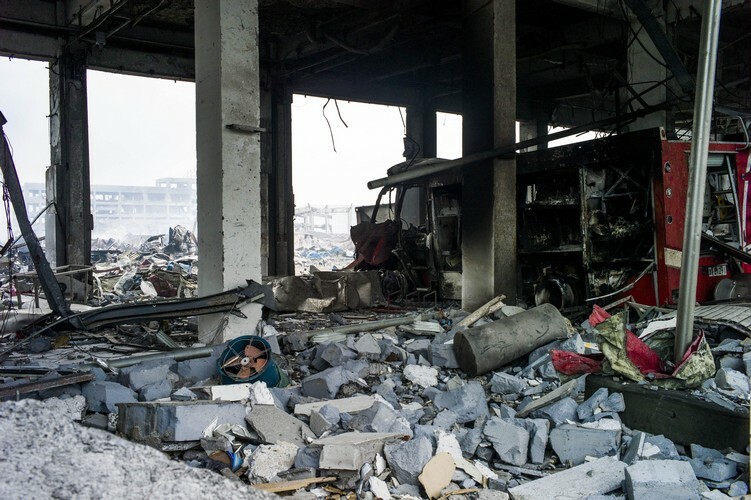 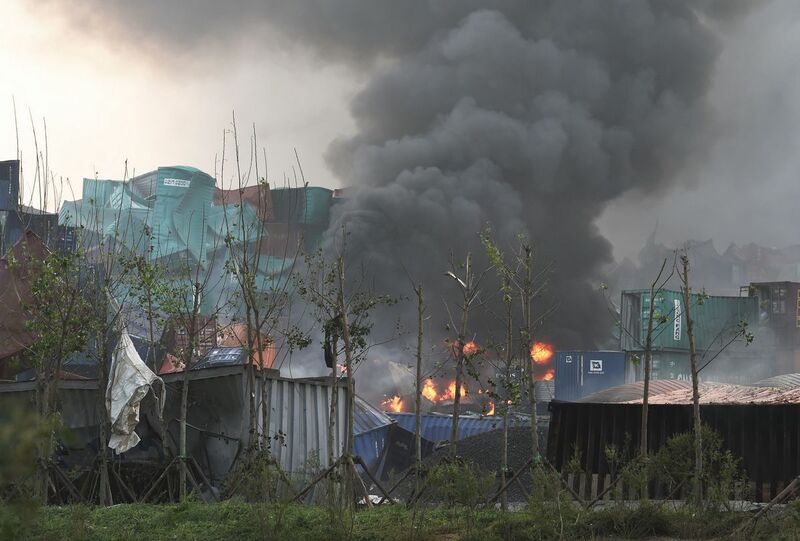 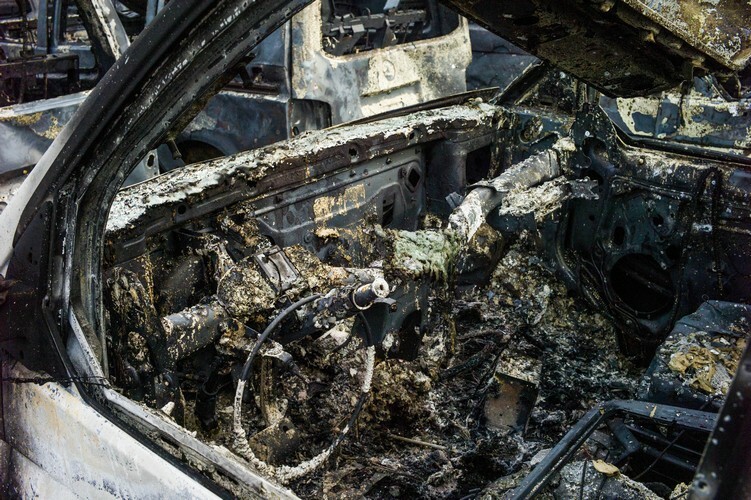 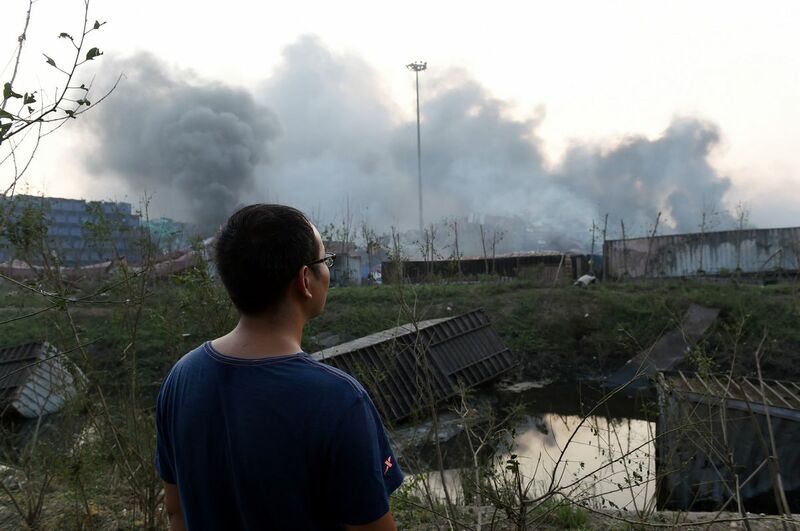 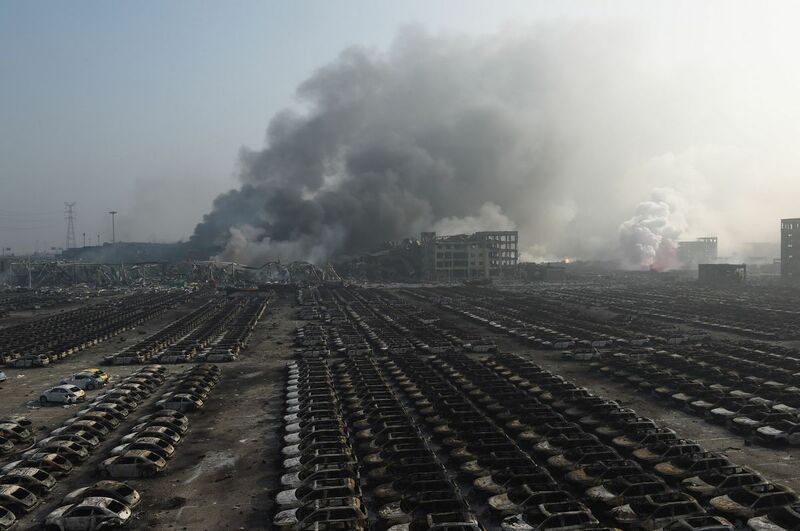 Hot weather, smoke in the blast zone, the complicated layout of the warehouses and the variety of scattered chemicals all pose great challenges to the cleanup, Ji said. 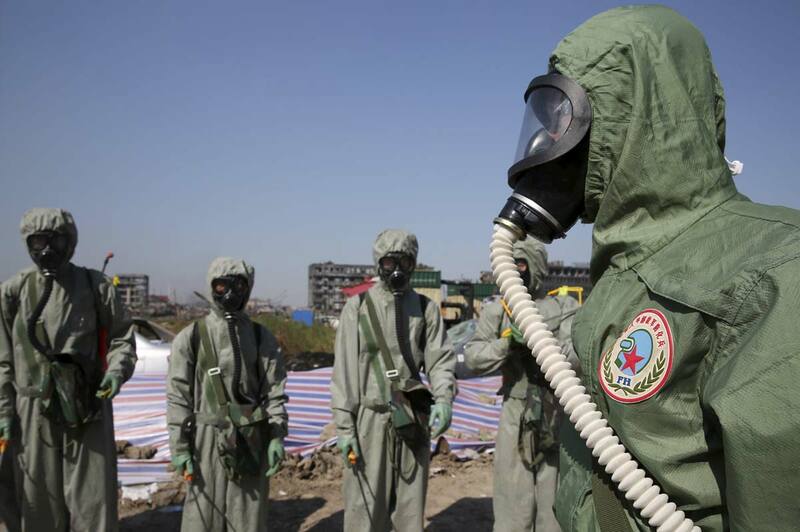 About 3,000 soldiers have searched for evidence of harmful pollutants within a 3-kilometer radius. 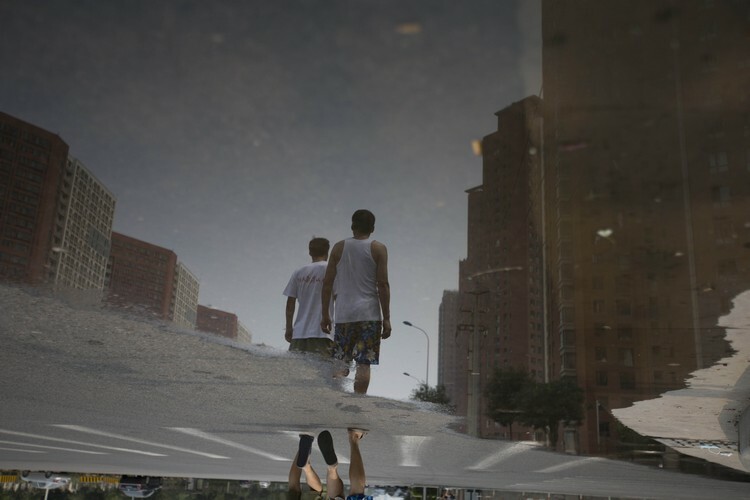 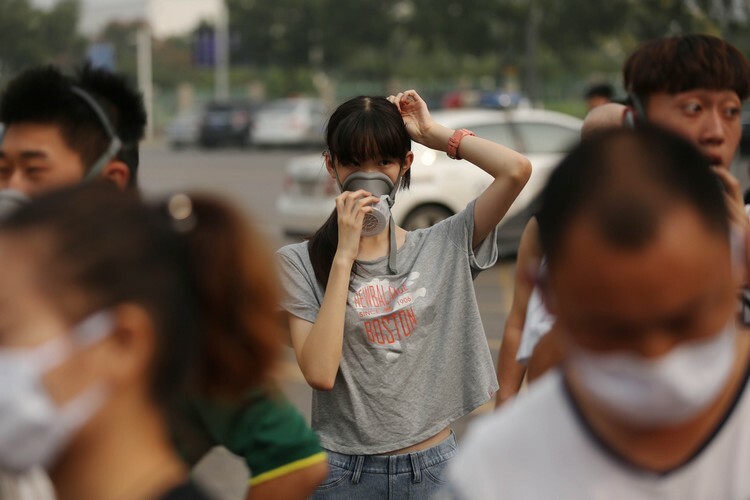 Data collected on water and air quality showed the current environment poses no danger to human health, said Bao Jingling, chief engineer of the municipal Bureau of Environmental Protection. 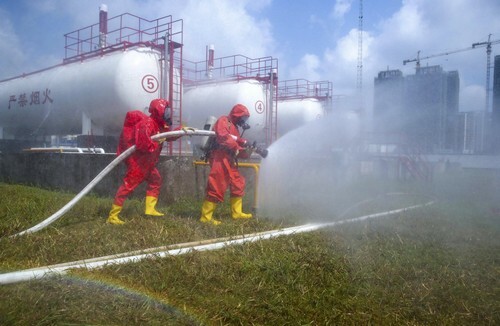 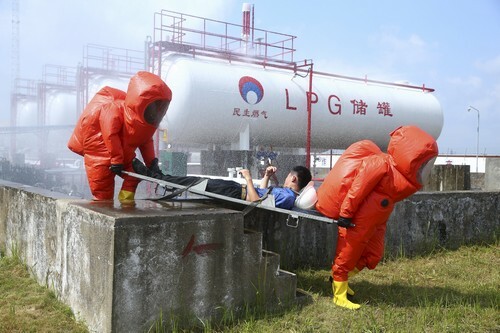 The Ministry of Industry and Information Technology on Monday urged a nationwide inspection of dangerous chemical warehouses, to make sure that they are within their storage capacity and distant enough from other areas. 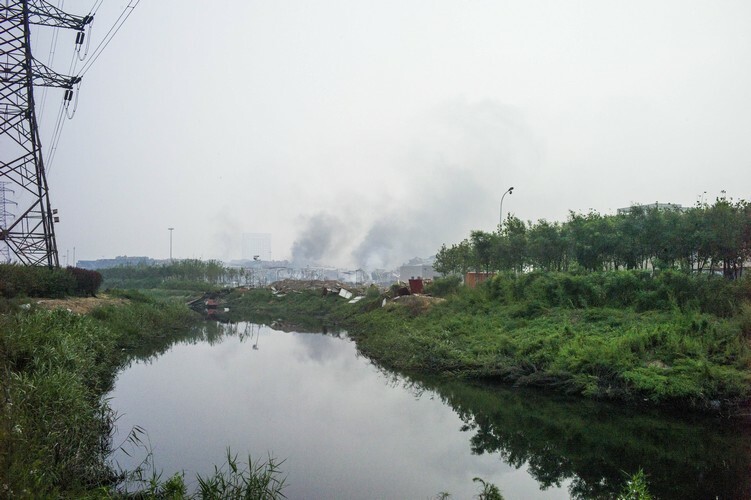 Asked whether the warehouse of Ruihai International Logistics was located too close to residential compounds - three of which are within a 1-kilometer radius - He said that question needs to be answered by the final report by the central government investigation group. 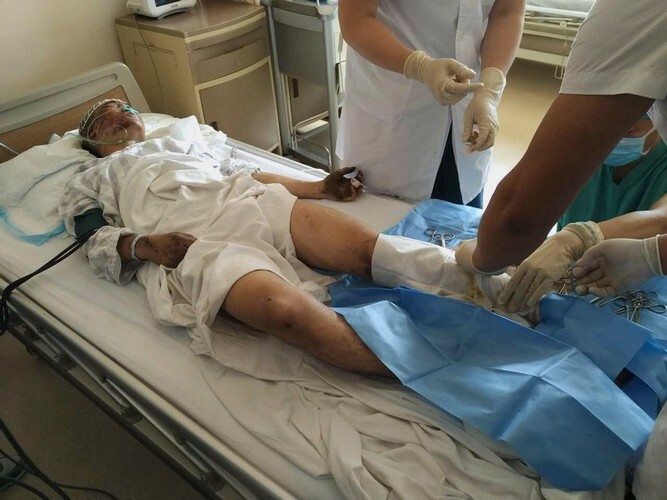 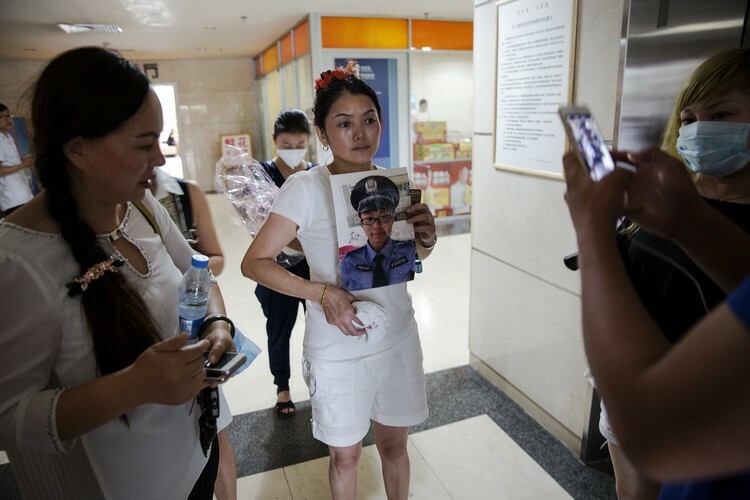 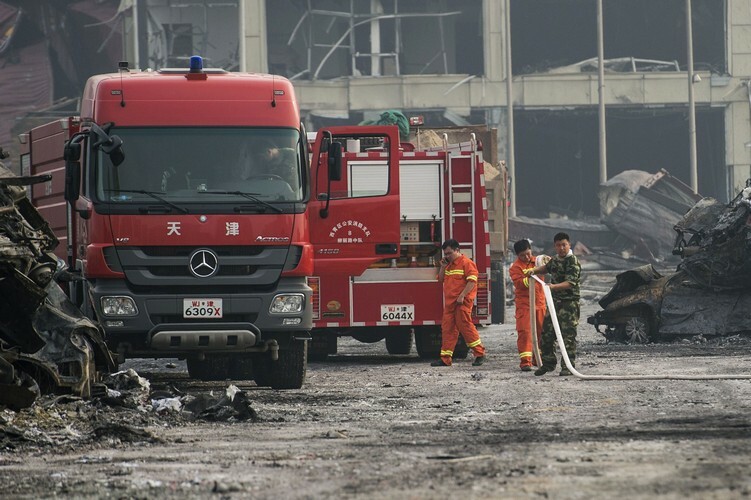 After visiting the scene of the explosion on Sunday, Premier Li Keqiang pledged a thorough investigation into the blasts and promised that those responsible would be punished. 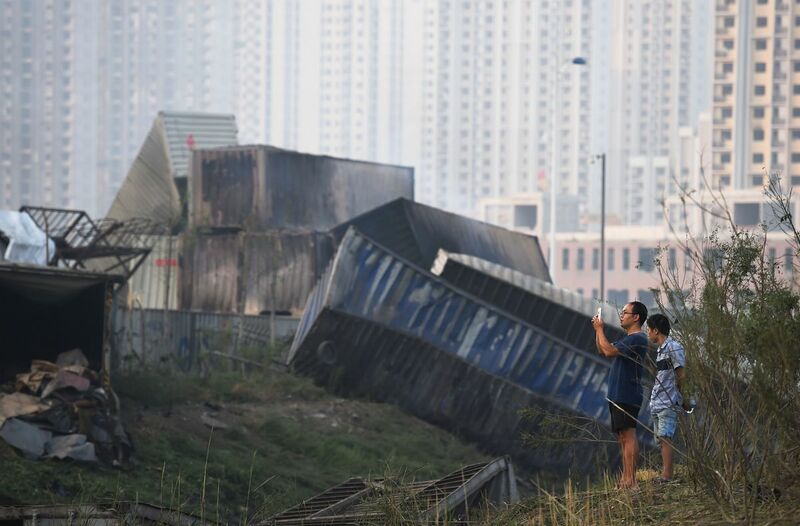 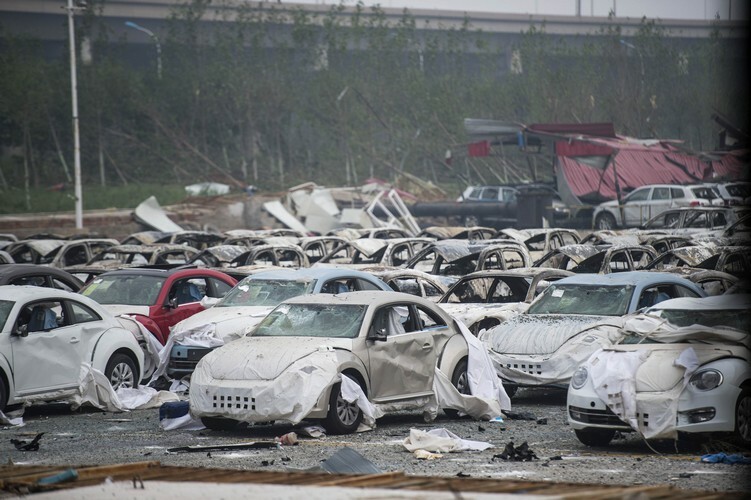 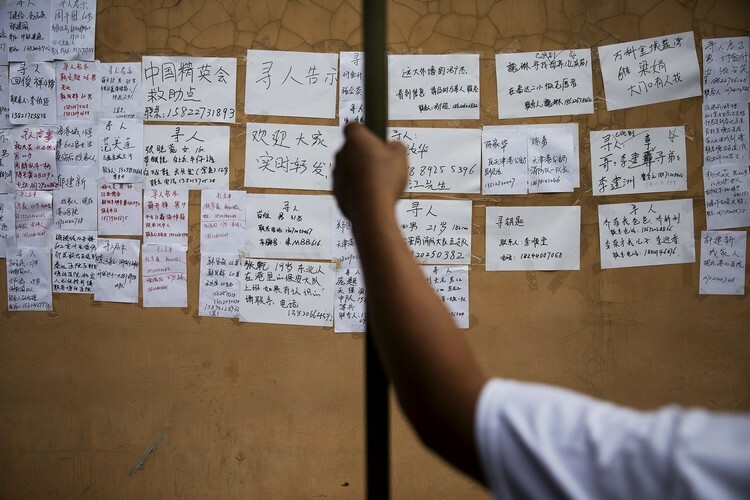 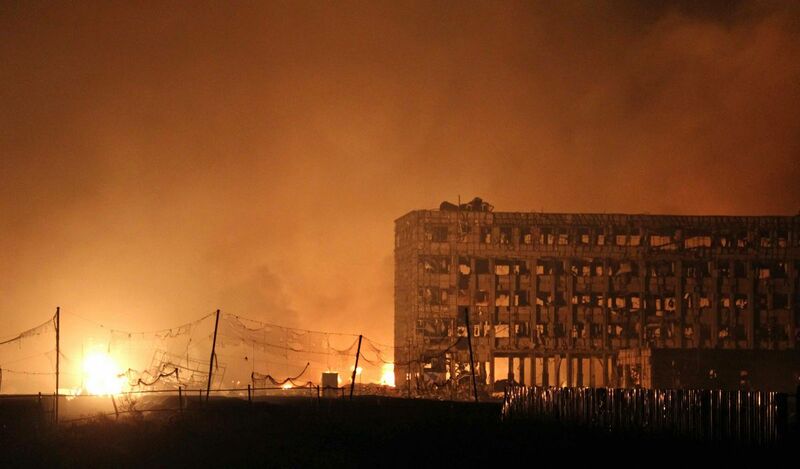 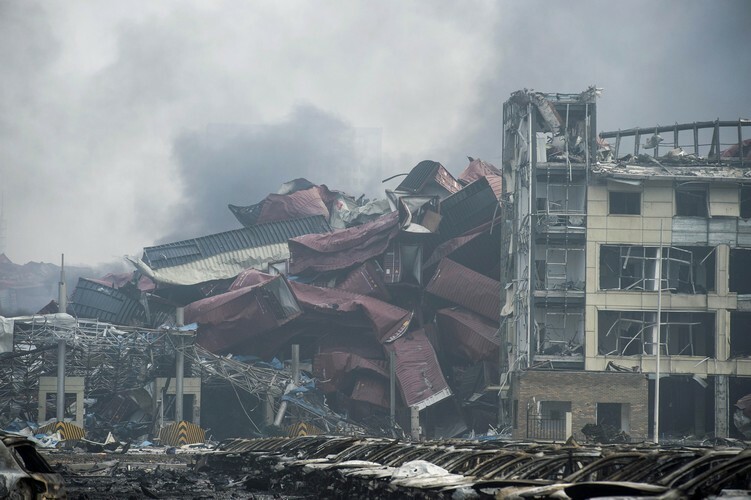 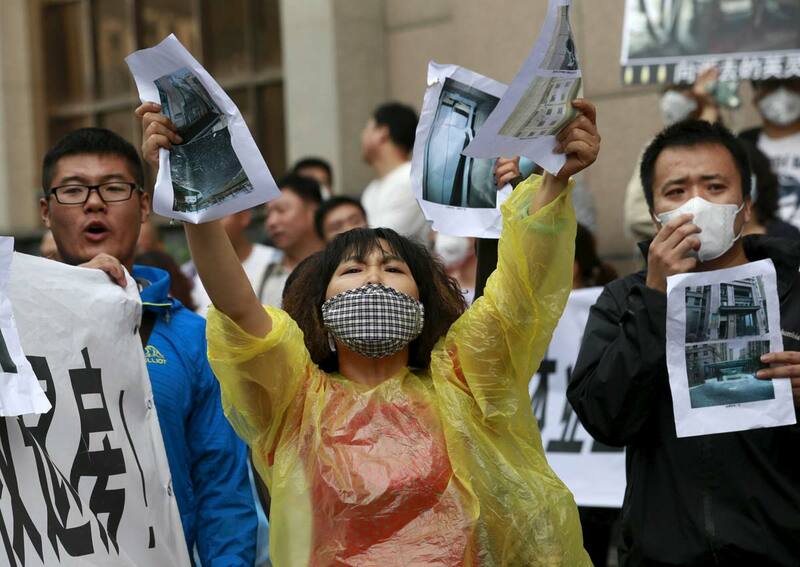 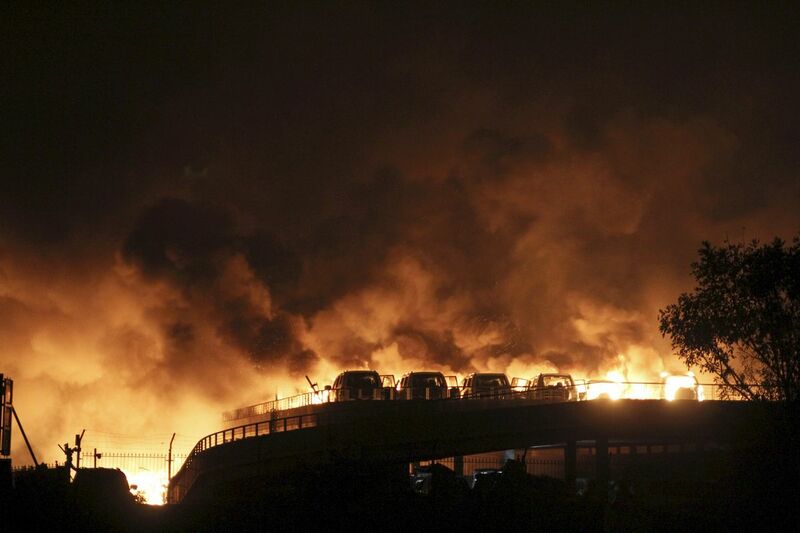 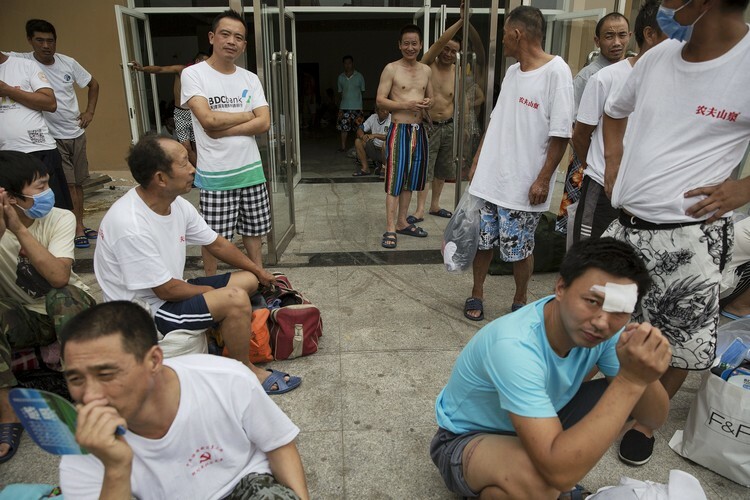 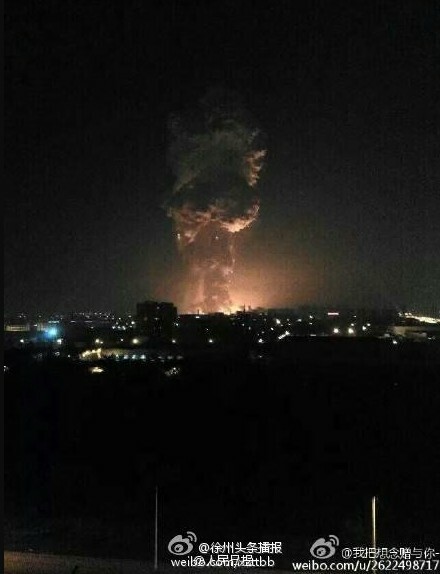 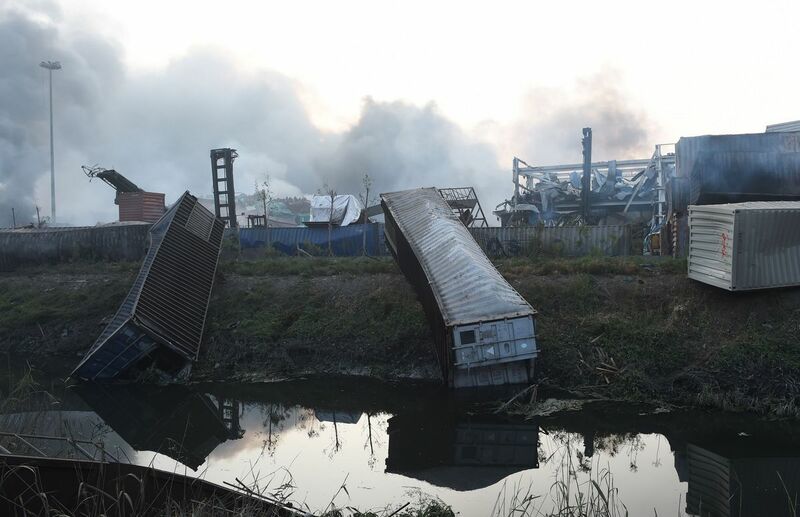 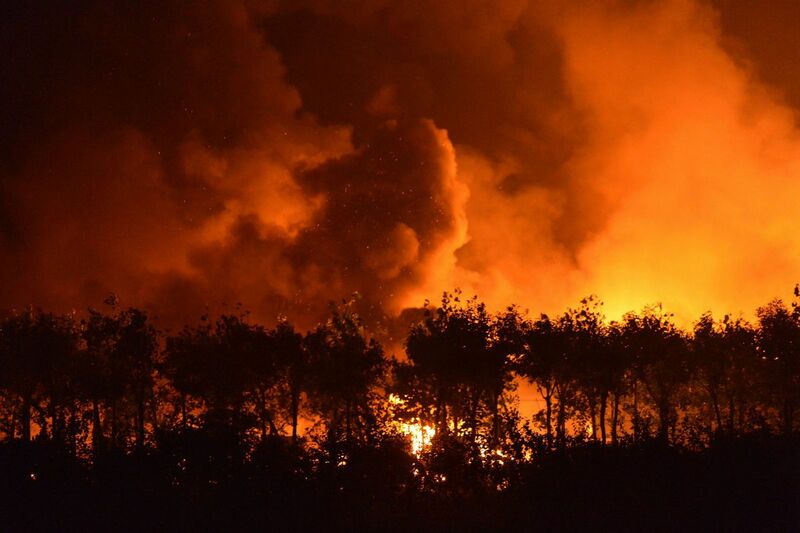 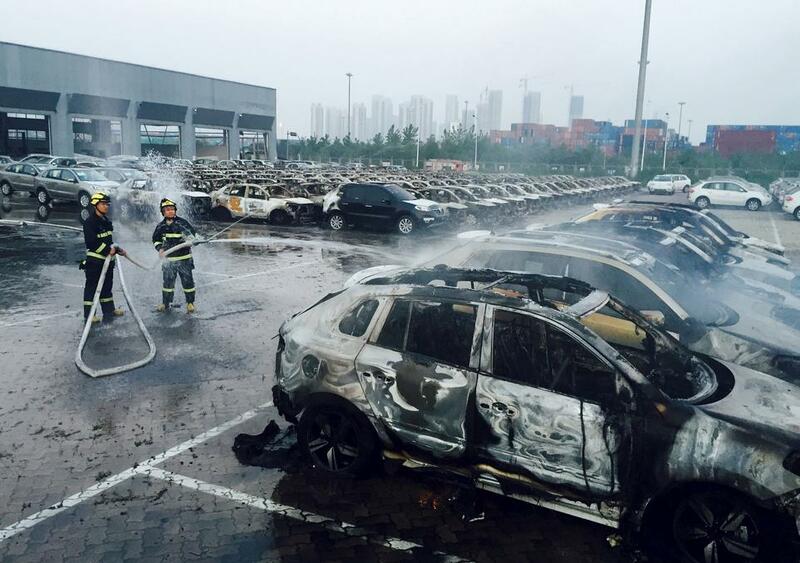 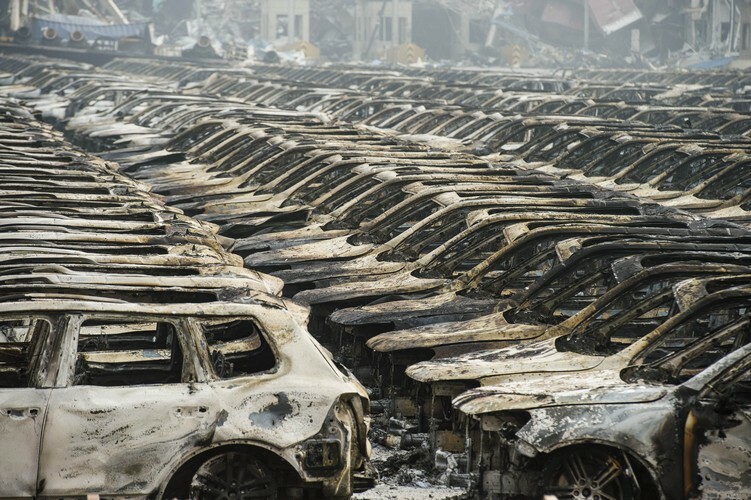 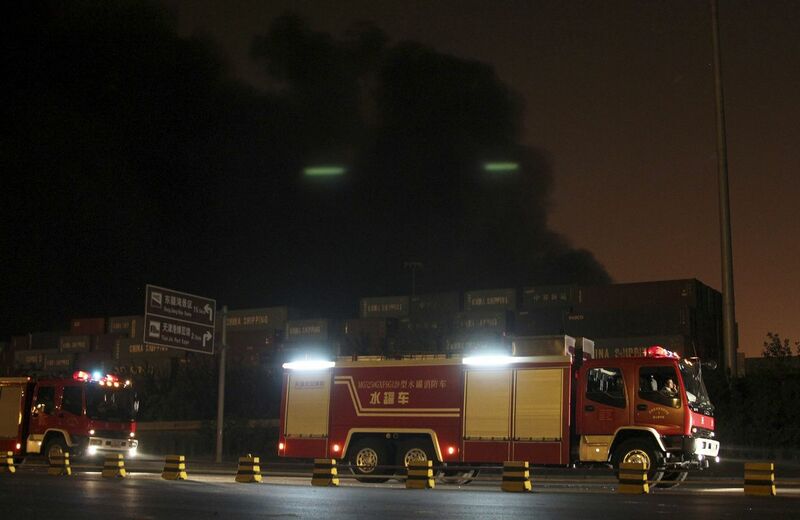 The leaders of Tianjin Port, where the warehouse was located and which sent the first groups of firefighters, have not been invited to the news conferences, China Business Journal reported.